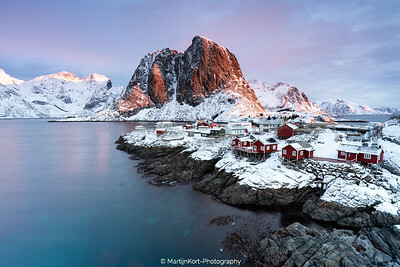 The most beautiful sunrise I have seen during my visit to the Lofoten, Norway. 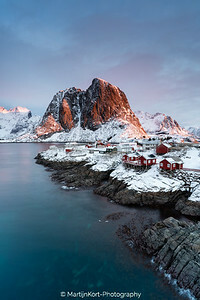 Here, close to my cabin, in Hamnoy the classic view of the Lofoten. The conditions were perfect. Snow, few clouds and a colorful sunrise. For me this is what I came for. 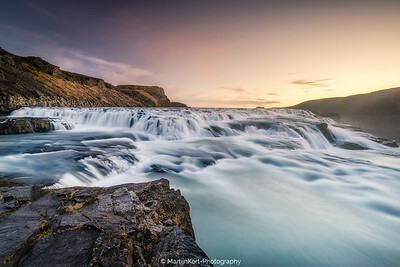 The Gullfoss waterfall during sunrise on an early morning in Autumn. We slept near the Geisr so it was only a short drive to this massive waterfall. On the other side it drops over 70m! Pure power and a stunning view! 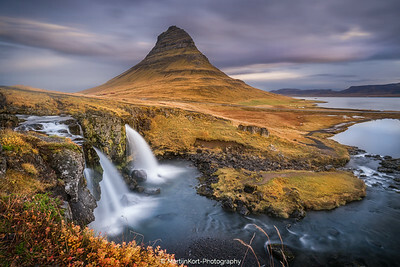 The beautiful Kirkjufell waterfalls in Autumn. Everything still has some colour. The week after our visit the Island was covered in snow once again, so we were lucky to capture the iconic waterfall and mountain in it's autumn jacket. Earth's Diamonds. 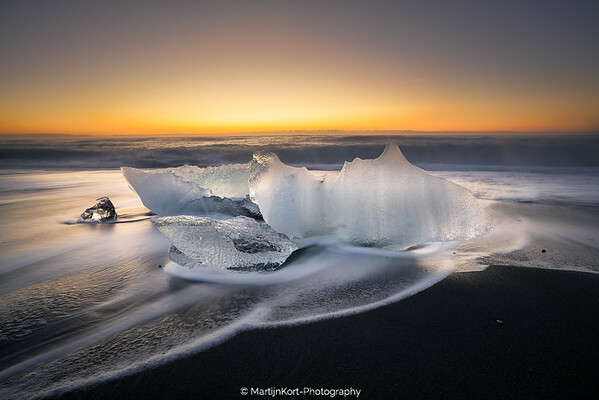 An early morning sunrise at the Glacier lagoon. The night before we had a lot of big chunks of ice on the beach. In the morning they were almost all gone. The beach was scattered with all kinds of smaller ice chunks. It was a challenge to find a good composition in between the waves. The waves came fast and were very unpredictable. A lot of people get very wet on this beach because of the very unpredictable sea. For this shot I left my camera in place while running backwards because of a very strong wave. It might be a bit risky, I mean the camera could be lost, but it was the only way to capture this image because the chunks were almost continuously in the water. 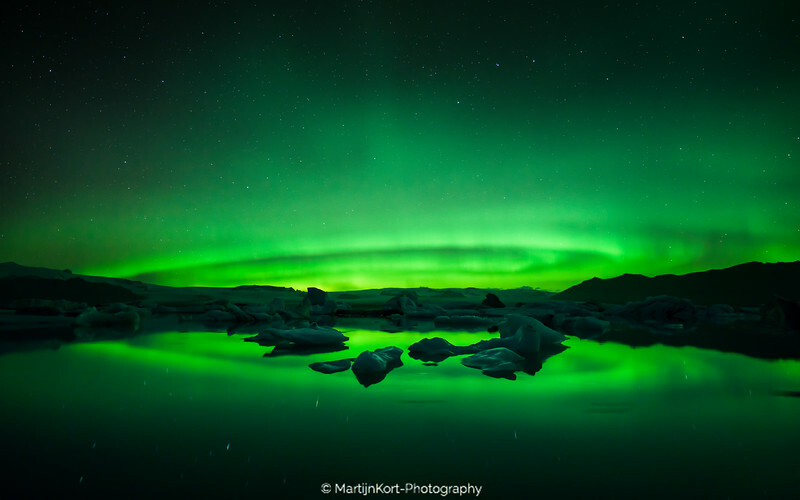 We had a fantastic active Aurora (Northern Lights) over the Jökulsárlón Glacier Lagoon in Iceland. 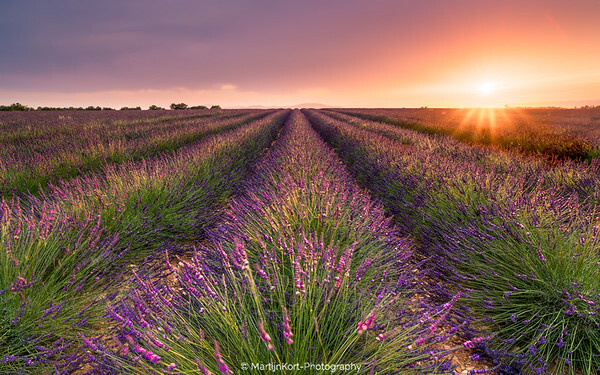 a beautiful sunset at a lavender field in Valensole. We were very lucky to have one day with a beautiful sunset of the two days we where there. A typical Dutch autumn sunrise. Dense fog layer with some cows in the early morning. Love it like this! Early morning in the Amsterdamse Waterleiding Duinen. A nature reserve for drinking water. The fog floating above the water and the soft colors of the sunshine make this a great moment. A beautiful sunset at the Maldives. 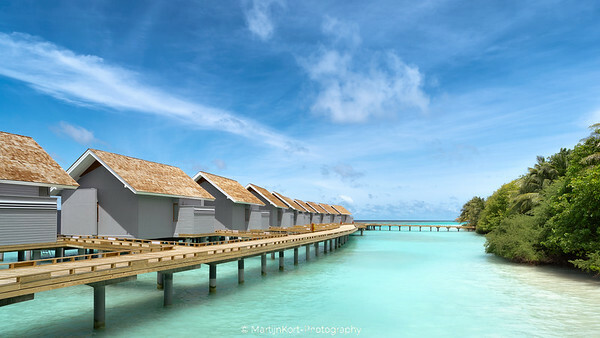 The water villas stretching out into the ocean. A small puddle, reflecting the warm sunset light. I almost forgot to make a picture because we were really enjoying ourselfs. Every single night we were there we had an amazing sunset. This one was full of colour with some low clouds. A very wide panorama, showing the water villas and the sand dune stretching out to the ocean. Water villas on a small island in the Maldives. 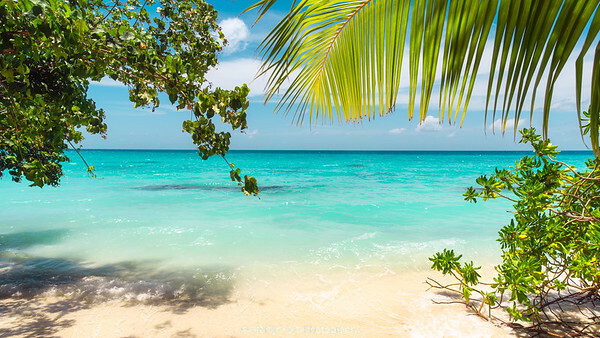 A fantastic beach and ocean view from the Maldives. A beautiful sunset at Kuramathi Island, in the Maldives! 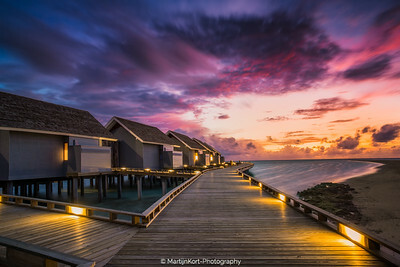 Amazing colors behind the water villa's. A wonderful night just after the Perseids meteor shower peaked. 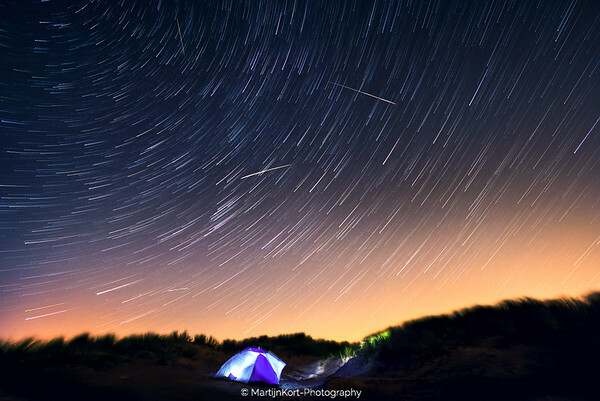 The action was not the same as the day before but I still managed to get some meteors in my picture. This is taken at Langevelderslag, The Netherlands. 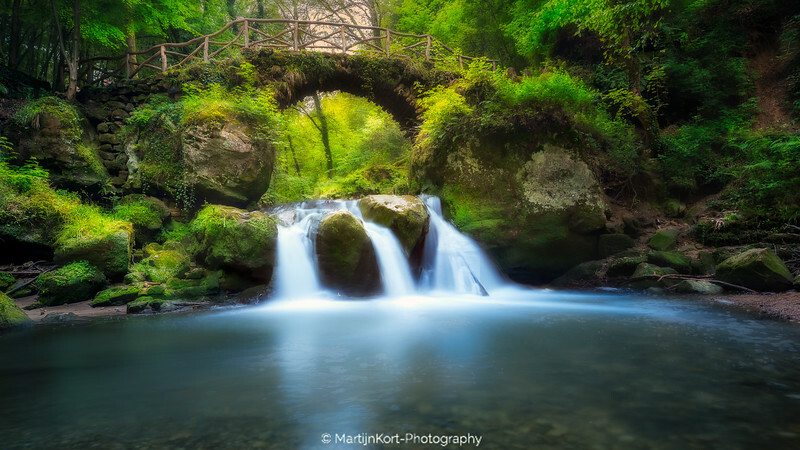 The Schiessenstümpel waterfall in the "little Switzerland" region of Luxembourg, Mullertal. 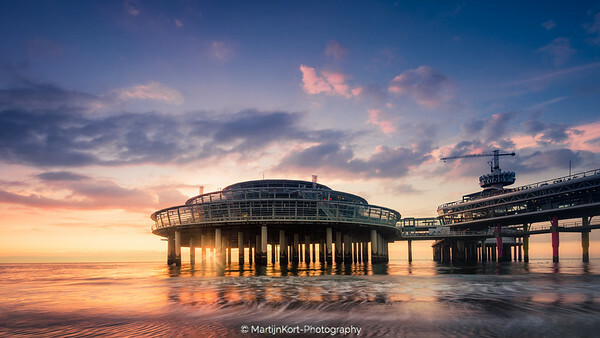 Sunset at the pier of Scheveningen. Ocean waves rolling in during a calm sunset. 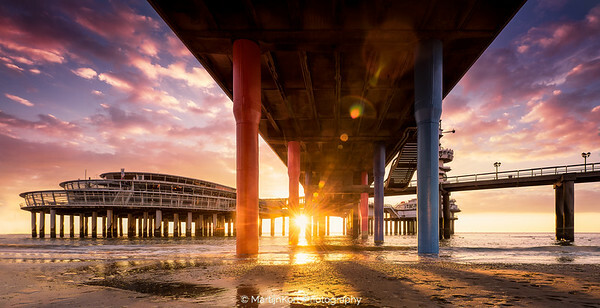 A beautiful sunset at the pier in Scheveningen. Colorful cloulds and the sun shining through the pier. A magical sight. The second Severn crossing during sunset somewhere in August. Took a creative spin on the coloring for this image. I kind of like the soft tones in the highlights.